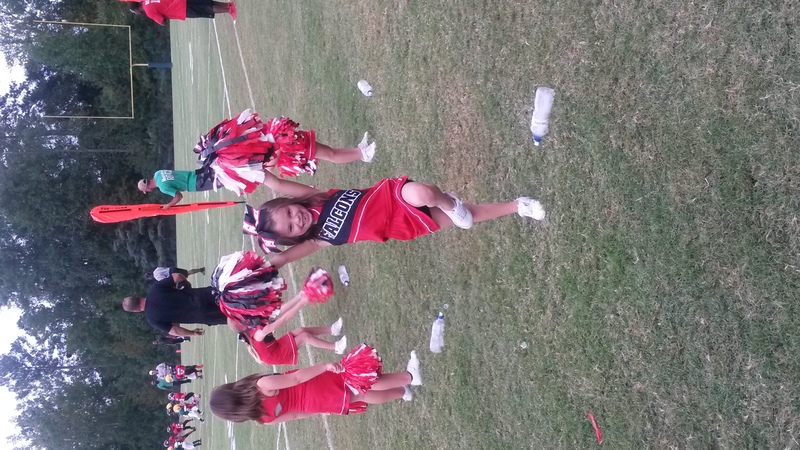 This little cutie is loving cheerleading!! We had two games this week, Monday night and Tuesday night, which was pretty tough (as soon as she got home from school on Wednesday, she said she just wanted to get in her jammies and lay down! 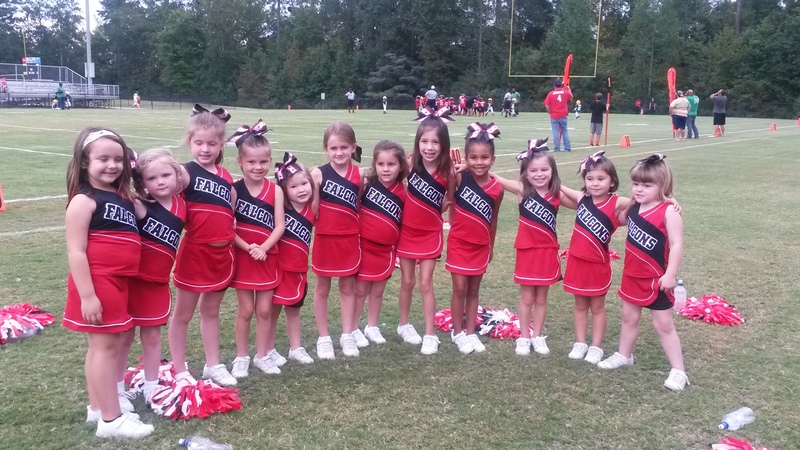 ), but she really enjoys learning cheers and being out there with her friends. And I’m pretty sure this is the universe’s version of payback, but Brantley does her cheers and chants CONSTANTLY around the house! Dinnertime, while doing homework, while playing with Ben and Gracie, and don’t even get me started if there is an actual football game on tv. 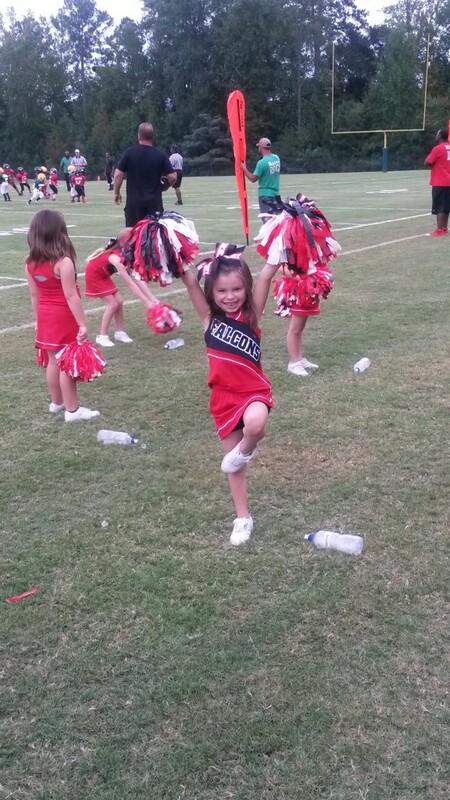 This kid is a cheering machine. But there again, pretty sure I tormented my family for years growing up, doing my cheers all over the house! 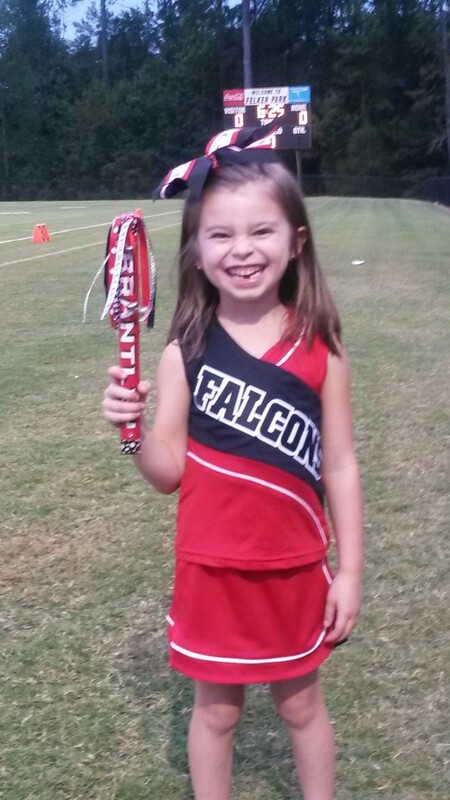 I’m just glad my girl is enjoying a sport that is so close to my heart, and we get to do it together! 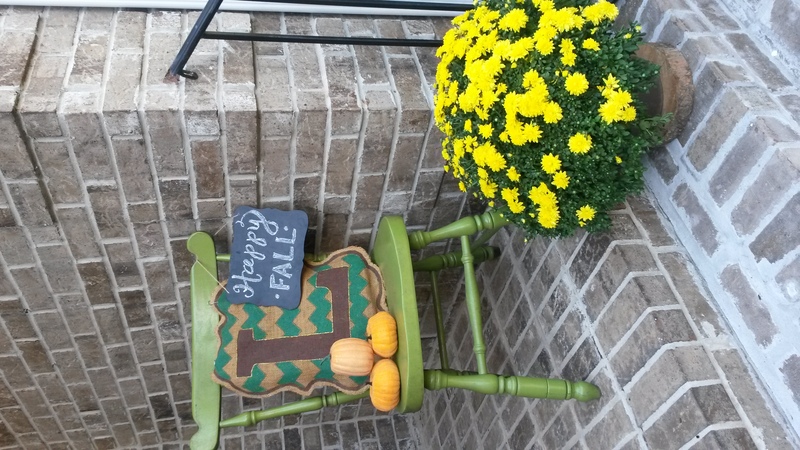 I kind of slacked on my fall decor last year, and wanted to step up my game this year for my favorite season! 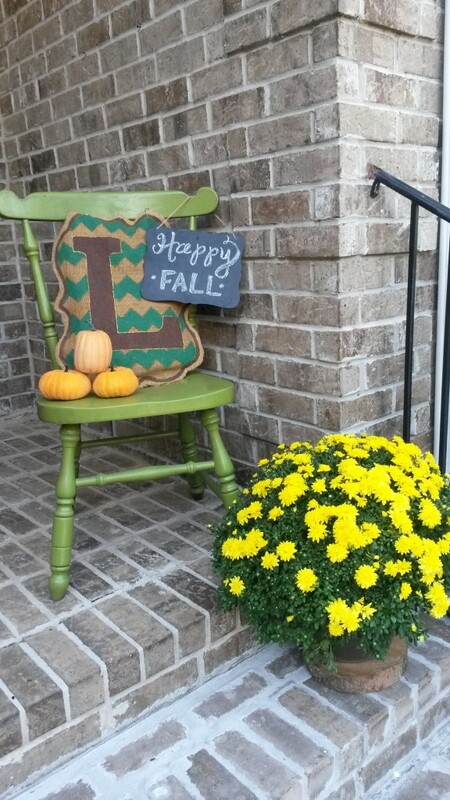 So I added some fall flair to my mantel and front porch. 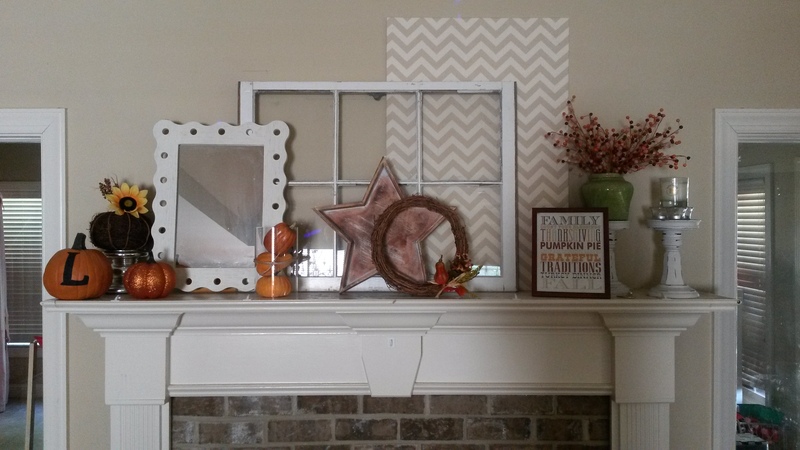 I have been keeping the chevron canvas (actually just a piece of foam board covered in tan and white chevron fabric that is a great neutral backdrop for every season! 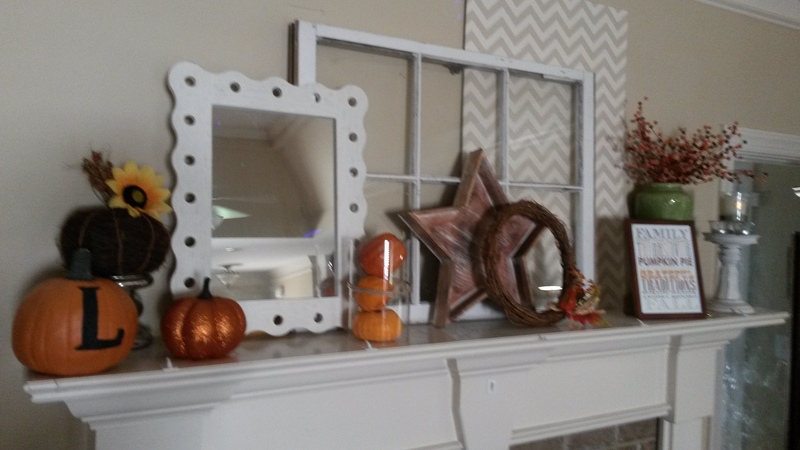 ), window and mirror up on my mantel, and then changing out all the accessories for each season. Very simple, but definitely adds a fall touch. 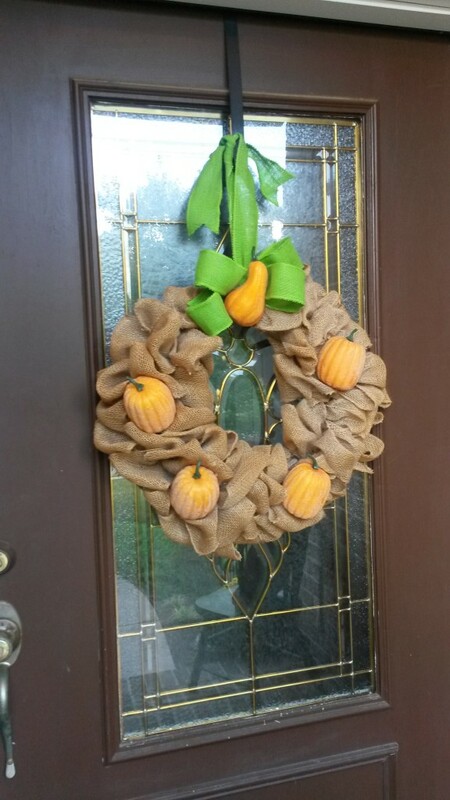 My front door needed a new look, so I made a new fall wreath! 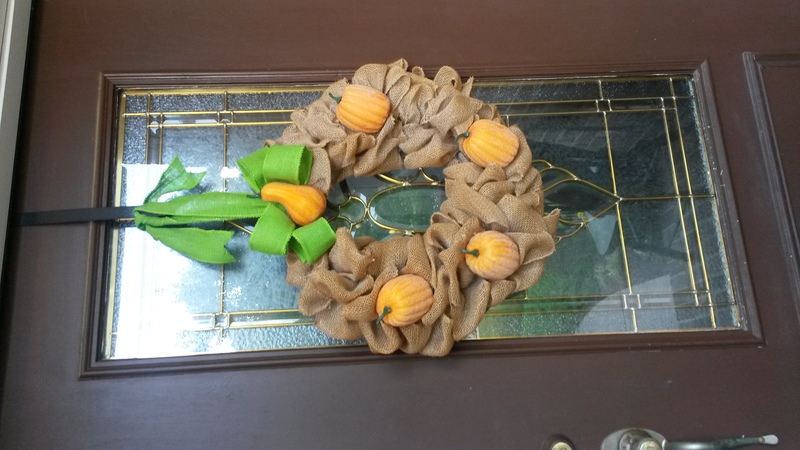 I took the blank burlap wreath that I made last spring, and just hot glued on some glittery pumpkins (from the Dollar Store), and added a green burlap bow. Very easy and cute! 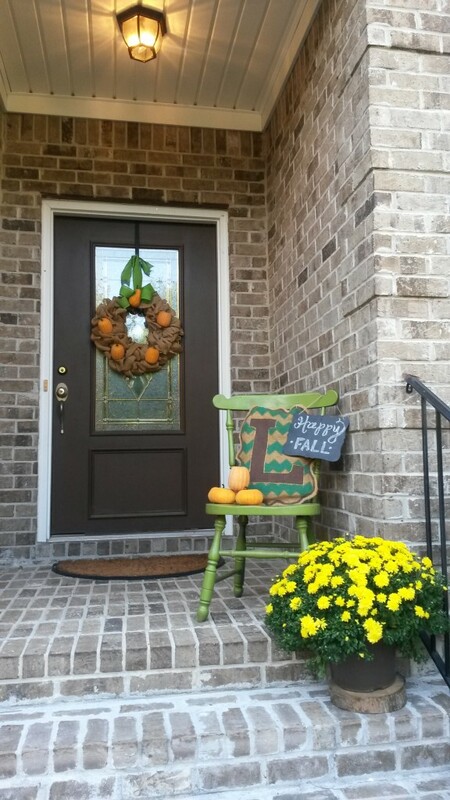 I grabbed this green chair from the deck, and the L doorhanger that a friend of mine made me last year, a little chalkboard and a basket of flowers, and the front porch is good to go! 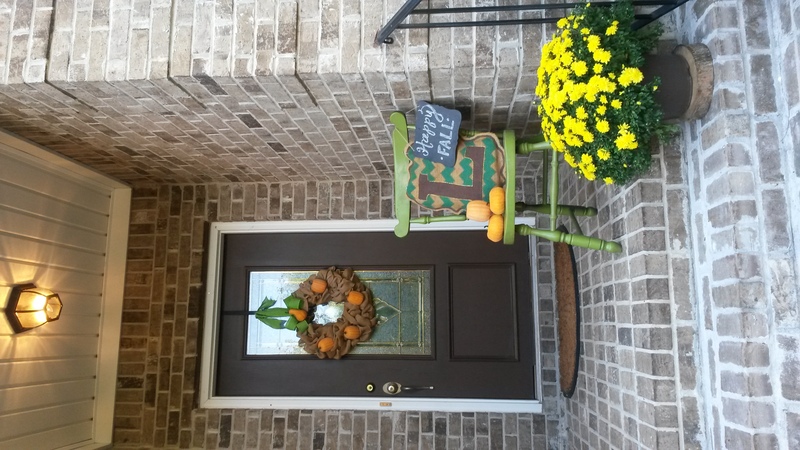 I love the bit of color it adds, and can’t wait to add more pumpkins! 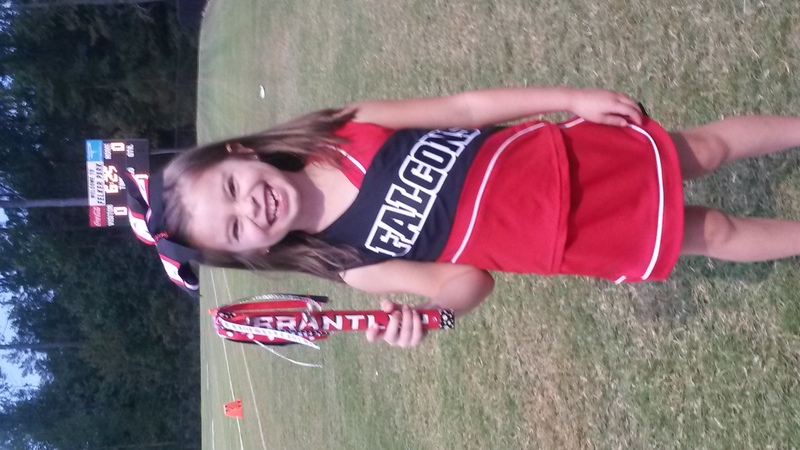 …and this week I wore it for Grandparent’s Day at Grayson and Ben’s preschool! I actually opted for snaps instead of buttons because I got lazy (ha!) and did think snaps would just be easier anyway! 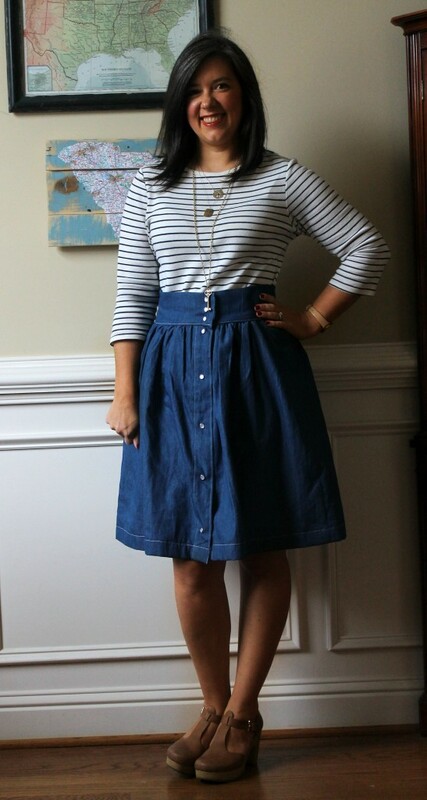 I love the way the skirt fits, and can’t wait to layer it up with sweaters and vests and boots when the weather gets cooler! I added to my collection, and made a longsleeve Washi Dress (pattern is Made by Rae) and a Laurelhurst Wrap Cardigan by Straight Stitch Designs. This is the fourth Washi Dress I have made, and I LOOOOVE this pattern. 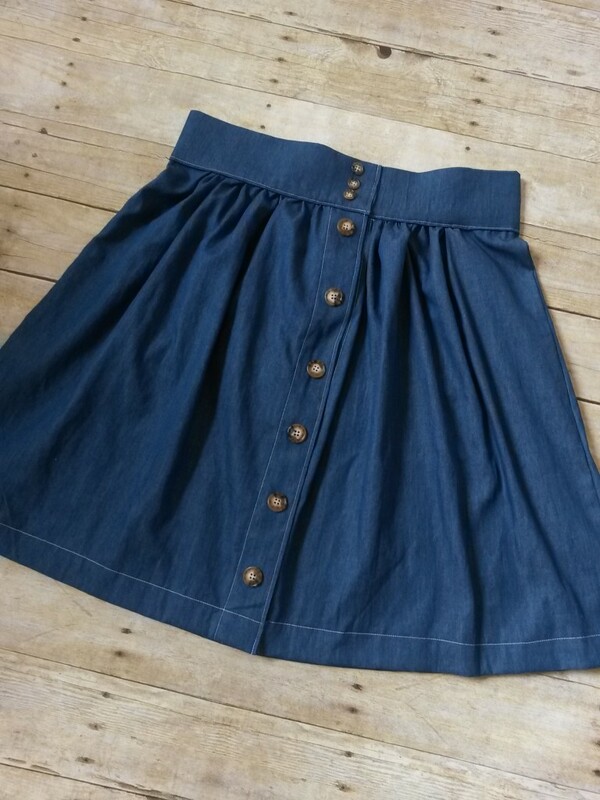 It is such a good fit, and it a very flattering silhouette. Plus, it’s simple and doesn’t take much time to make. I bought this beautiful magenta Indian Block Print Cotton with no good idea of what I was going to do with it, but love the look of it on this dress. I will have a closet full of washis before long, because I have plans for so many more!! 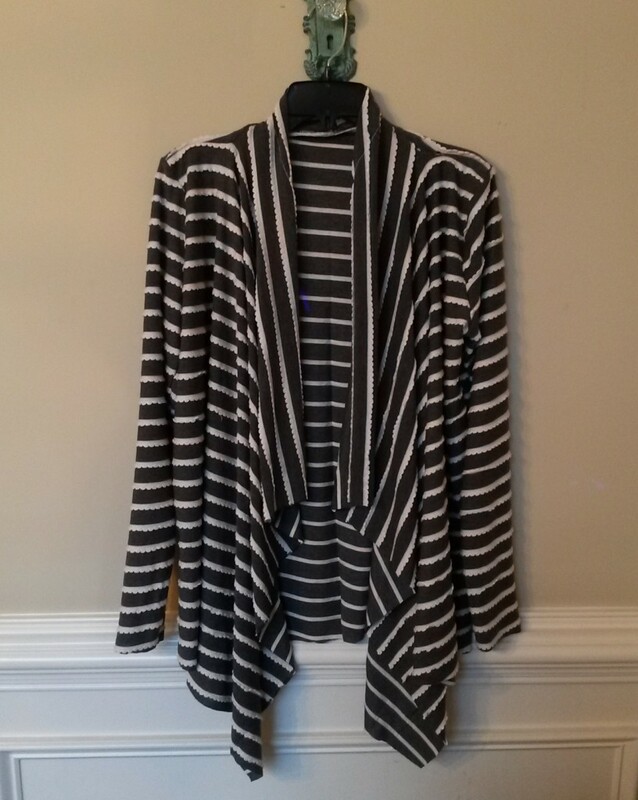 Next up on my list was the Laurelhurst Cardigan from Straight Stitch Designs! I have pretty limited experience in sewing knits, but I was determined to keep working at them and improving my knit skills. 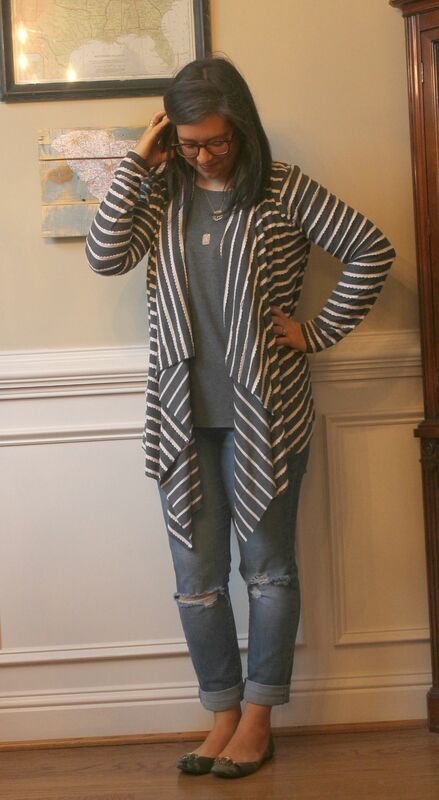 This cardigan was the perfect project!! Printing and cutting out the pattern took more time than cutting the fabric and sewing the cardigan combined! It was a VERY quick sew (like not even 30 minutes! ), and it extremely satisfying to sew such a great garment in such a short amount of time! It sewed up so quickly that I made a second one right after the first! 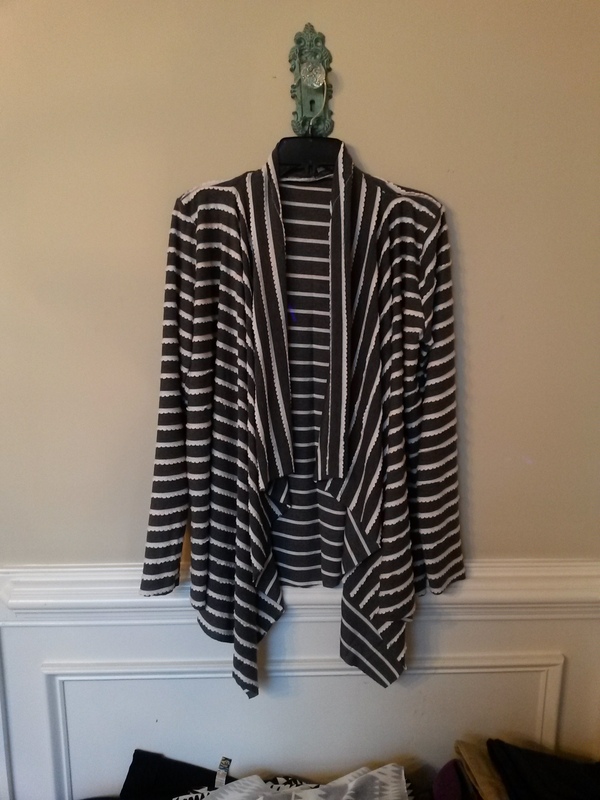 I have plans for at least two more (probably bunches more), since it is so simple and I practically live in drapey cardigans like these during the fall. If I continue at this rate, I might actually sew everything on my list! My goal is at least one item per week, and am hoping to make a couple of shirts next week! I made the easiest and tastiest quick dinner the other night for dinner. 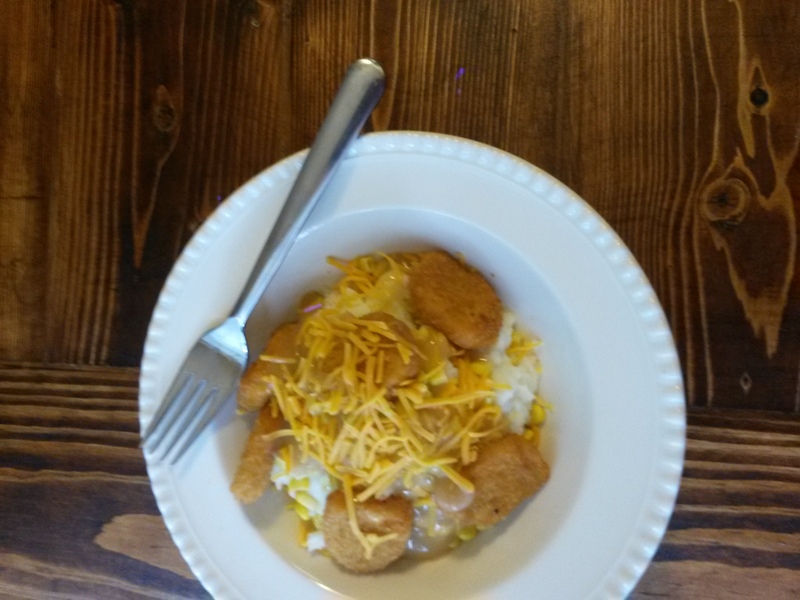 Football games at 6:00 on weeknights make dinner tough for us, so I keep things as simple as possible and remade a KFC favorite, their chicken bowls! It was so simple that it’s hardly a recipe. I used those Ore-Ida Steam and Mash Potatoes to make quick 10 minute mashed potatoes. I opened a can of corn, heated it up, and put a big scoop of mashed potatoes in a bowl for each person, and a scoop of corn on top. While the mashed potatoes were cooking in the microwave, I had chicken nuggets cooking in the oven. 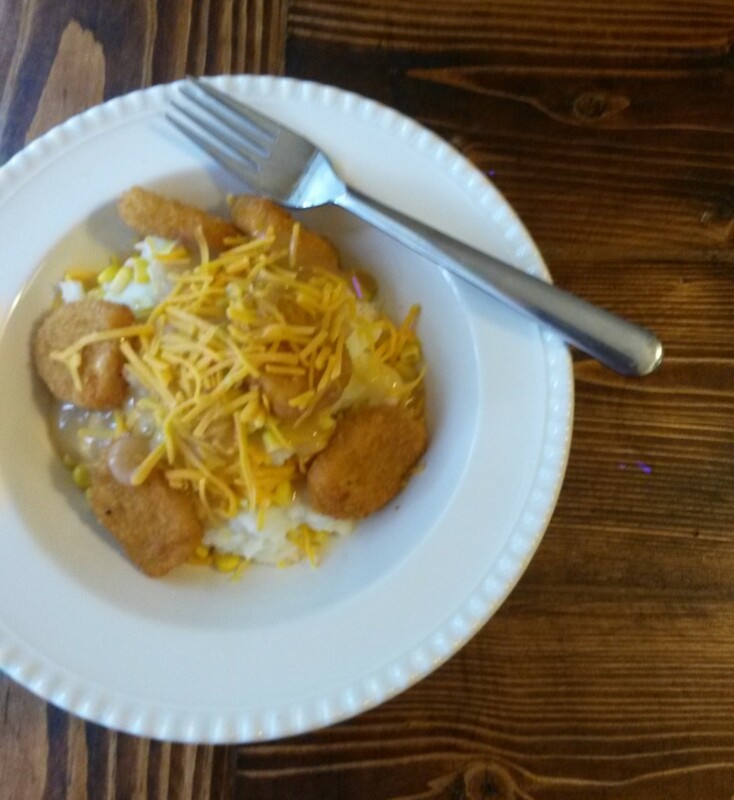 On top of the corn, I put a few chicken nuggets, and then topped them with a bit of shredded cheddar cheese and a little bit of chicken gravy, and dinner was DONE!! Took me 15 minutes TOTAL and the kids LOVED it. Matter of fact, I liked it too! What’s better than chicken nuggets and mashed potatoes?! Especially on a really busy night. It only cost me $10.04 for all the ingredients, and there was plenty of corn, cheese, and gravy left over. I’m pretty sure it would’ve cost a lot more (with more calories!) had we gone through the KFC drive through! And finally, who is pumped that Fall TV shows are back on??!! Hooray!! I have already started watching The Mindy Show and Nashville, and have Scandal, How to Get Away with Murder, and Grey’s ready on my DVR (though, I am not even sure I will continue watching the abomination that is Gray’s Anatomy since Derek was killed off #stillpissed). Now I just need Law and Order SVU, Chicago PD and Chicago Fire to start back up, and we’ll really be in business. 🙂 This weekend may call for a trip to the local cornmaze for some fall fun and pumpkin picking, but it’s also going to call for lots of PJ lounging and football and TV watching! Hooray for relaxing!